<br /><br />Thanks for taking the time to talk to us about your project, first off can you tell us a little about yourself and the key members of your mod team. <br />I'm Meta, the Project Lead on F4NV. I've been with the team since its formation in August of 2017. I've been modding in one way or another for about a decade, on titles ranging from Battlefield 2 and Command and Conquer: Red Alert to Homeworld 2. I first started working with Skyrim about 3-4 years ago, and Fallout 4 not long after it released, however F4NV is the first project I've been involved with of this sort. <br /><br /><br />For anyone who isn’t aware of your project yet, what is Fallout 4 New Vegas? <br />Fallout 4: New Vegas is a community-run project aiming to remake Fallout: New Vegas in the newer Fallout 4 Creation Engine, taking advantage of some of the features of the newer engine to make for a better and more refined gameplay experience. <br /><br /><br />Fallout New Vegas is considered by many to be the best Fallout game. How faithful are you planning to stay to the original? 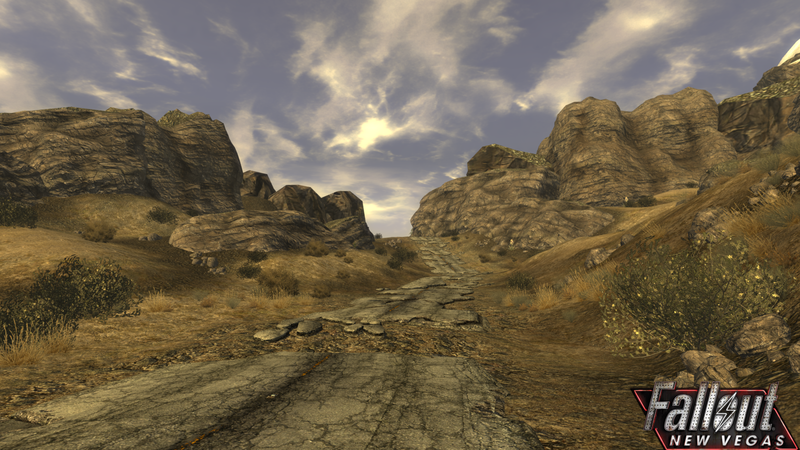 <br />We're remaking all of the quests as they were in New Vegas, alongside all of the original features, with tweaks made where possible to take advantage of the features of the newer engine, as well as to bring back some of the cut content and expand on the game world where possible. Narrative-wise, nothing will be changing in Fallout 4: New Vegas. <br /><br /><br />What are you adding that is new and improved? 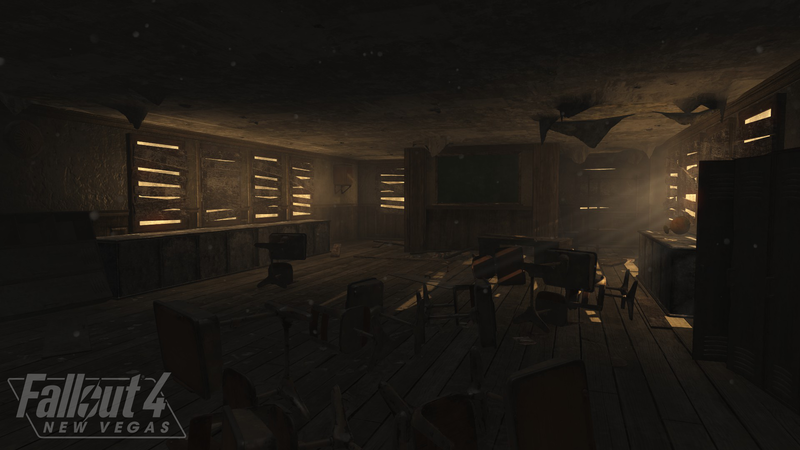 <br />We're adding a number of new things to F4NV. We're aiming to expand upon the weapon mod system first seen in New Vegas with the added functionality of the Fallout 4 weapon modding systems. We're also tweaking and rebalancing the combat of New Vegas to better fit into the more dynamic combat of Fallout 4 while retaining the more RPG-based systems utilized in New Vegas to create a more dynamic and interesting combat system. 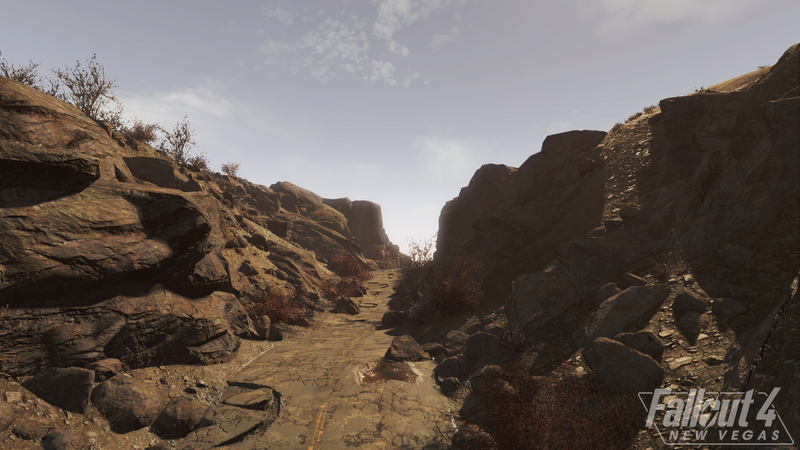 We're also looking at some of the cut content found in Fallout: New Vegas and reimplementing some of it, alongside some new content in the form of new weapons and some smaller environmental encounters to address some of the issues the original game had in regards to many finding the worldspace in Fallout: New Vegas being somewhat barren and some exploration feeling unrewarding, while maintaining the tone and feel of the world. Our core philosophy when it comes to adding any of this content is to ensure that it feels like it was always present in Fallout: New Vegas. <br /><br /><br />How did the project get started? 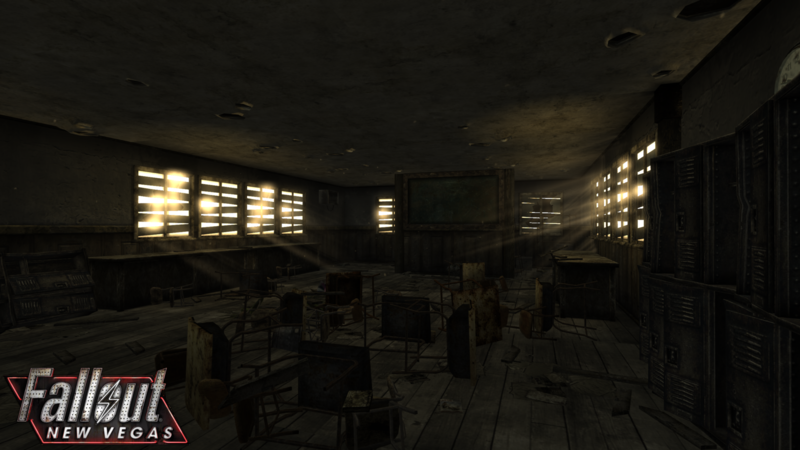 <br />The current F4NV project started off after an earlier attempt at the same goal that kicked off in late 2016. After that project came to a close in July of 2017 due to a number of issues going on internally, we picked up where that team left off and began working towards the same goals. <br /><br />Could you tell us about your workflow? <br />Because of the size of our team and the scope of our goals, our project has a number of different sub-teams working at different speeds towards goals that support the needs of each team. To keep this in check, almost every sub-team operates within fairly strict milestone goals based upon gradual outwards expansion. This allows us to focus on more specific goals as a whole, with each subteam being able to work as quickly or as slowly as they need to so that they can meet their objectives, and means that teams that end up completing their goals faster than others are able to continue to focus on further milestones as the project moves forward. <br /><br /><br />Building a mod collaboratively like this can be challenging. What advice would you give to modders looking to start projects like this together? <br />There are two main considerations that are key to building a project like this. Firstly, you should always understand that failure is an option. Instead of fearing that, however, you should instead simply accept it, and work to mitigate the damage it'll do to your project. This tends to have a positive knock-on impact on planning and helps to keep a project viable, while also typically meaning that you're likely to end up completing work that can be released to the larger community if something does go wrong. This can often mean that the hard work of your team members will not go to waste, and often leaves your team members feeling a lot more happy with the work they're doing on your project. Secondly, while it can seem a bit obvious, planning for a reasonable scope is also very important. A project like this will be slow-going no matter what - that's simply the nature of modding. However, if you plan for the team you have, instead of the team you want, you'll often be a lot more able to meet your goals, and this will give your project a far better chance of success as time goes by and work is done on your project. <br /><br />Are there any technical accomplishments you’re particularly proud of from creating the project? <br />One of the biggest things for Fallout 4: New Vegas is having all of the legacy systems for Fallout: New Vegas functional in the Creation Engine. 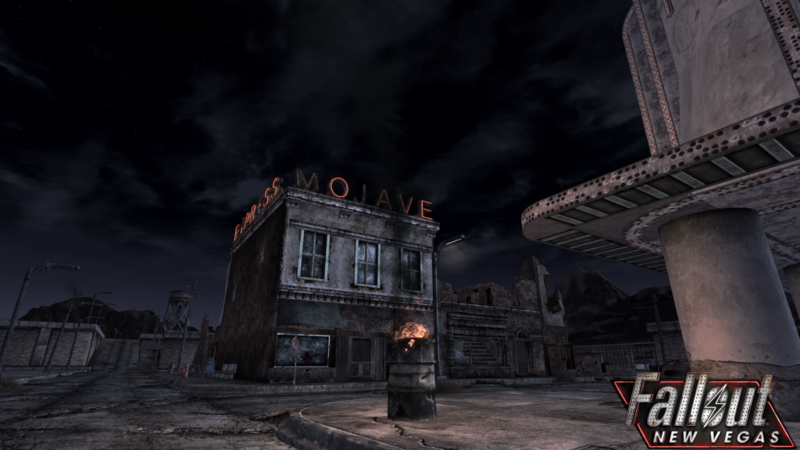 Many of these things, such as skills, damage threshold, or the weapon condition system are a huge part of the gameplay loop in Fallout: New Vegas, and without them, F4NV would feel more like a pale imitation of the original. 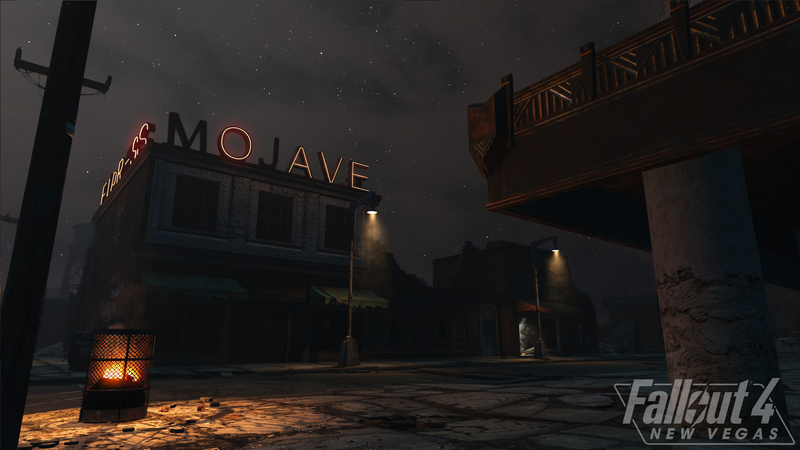 We've managed to recreate nearly all of the original systems, and this is a huge contribution to F4NV feeling like New Vegas. <br /><br /><br />For anyone who wants to join the team or support your project, what’s the best way to do that? <br />The best way to apply to Team F4NV is to use the application form on our official website﻿.